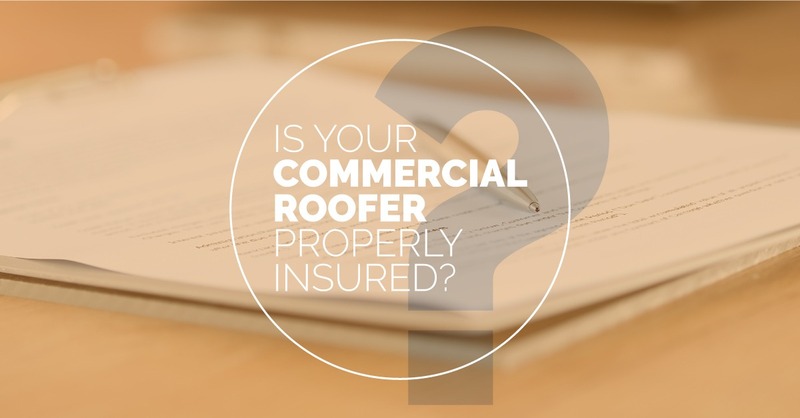 Is Your Commercial Roofer Properly Insured? Home/News/Roofing/Is Your Commercial Roofer Properly Insured? Commercial roofers take on enormous responsibilities when they work on the roofs of businesses in the Amherst area. The roof protecting a business against water infiltration, or snow and ice damage, is also protecting the jobs of your business’s employees. Your inventory, equipment, and supplies are also protected by that roof. Commercial roofers with insufficient insurance leave themselves vulnerable, yes, but they also leave your business at risk. These two types of policies protect you, the contractor, and others. Workers’ compensation protects the roofer’s employees by providing coverage if they are injured on the job. This also protects you against lawsuits from those workers. General liability insurance does the heavy lifting, protecting everything on your property from accidental damage (a roofing hammer through a car window, for example) or damage to the roofer’s equipment while on your property. Commercial roofers can also take on more insurance to provide even better protection to you, the business owner. Bonding insurance will pay premiums on the surety bonds the best roofers usually carry. These surety bonds guarantee to pay the roofer’s vendors in case the roofer cannot pay for the single-ply that are now on your Amherst-area business’ roof. Artisan contractors errors & omissions and pollution insurance is recommended by the National Roofing Contractors Association (NRCA) to provide coverage against flaws or omissions in design, installation or workmanship for work done to your business. It also covers pollution problems, such as mold mitigation, asbestos, and silica dust. Most local commercial roofers will happily show you the first two types of insurance (workers’ compensation coverage and general liability); a few may have the other, more secure types. Vanguard Roofing can go beyond this, however, by ensuring our crews are covered by insurance and trained to OSHA standards. We make safety and training a priority, so our insurance rates are low. We can pass these savings on to you, our commercial roofing customers. Contact Vanguard Roofing today to learn how our insurance and training can assure you of peace of mind. Among commercial roofers in the Amherst area, we pride ourselves on being the best.